Thu., Aug. 23, 2018, 2 p.m.
Where: Riverfront Park, 507 N. Howard St.
For generations, the Spokane River has represented life, love, hope and a sense of revitalization for numerous tribes around the Northwest. 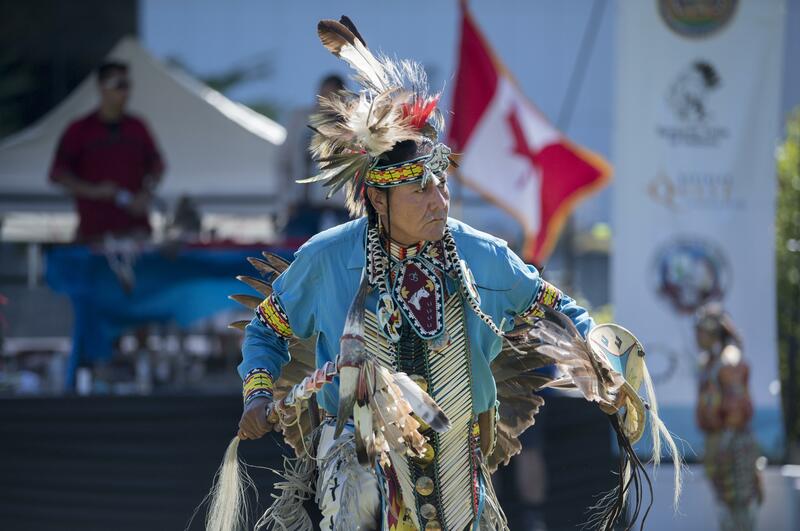 For the past 27 years, area tribes have continued the tradition by coming together at the Spokane River for the Gathering at the Falls Powwow. This year’s powwow will be Friday through Sunday. The powwow begins Friday with a grand entry at 7 p.m. On Saturday, there will be grand entries at 1 and 7 p.m.
Gabby Corral (Spokane Tribe) and Mike Sanchez (Ktunaxa Nation) will emcee the powwow, and Leland English (Piikani Nation) is the arena director. Troy Crow Show (Piikani Nation) is the head dance/drum judge. Dance categories for men include golden age, traditional, grass, fancy and prairie chicken, and dance categories for women include golden age, traditional, jingle and fancy. Teen and junior boys can dance traditional, grass and fancy, and teen and junior girls can dance traditional, jingle and fancy. Children can also dance in the Tiny Tots categories. The powwow will feature a variety of dance specials too. There will be a men’s chicken versus traditional dance special, for ages 16 and older, a women’s Old Style Fancy Dance Special, a Powwow Royalty All Around Dance Special, for current powwow royalty, and a Sweetheart Dance Special for ages 16 and older. There will also be a Tiny Tot Owl Dance Special, sponsored by Miss Gathering at the Falls Precious David, and a Share Your Language Special, for ages 18 and younger, sponsored by the Mini Miss Gathering at the Falls Trinity Leigh Madera. Saturday morning, there will be a free Diabetes Prevention Fun Run/Walk at 9 a.m., with registration opening at 8 a.m., to support the NATIVE Project’s diabetes program. T-shirts are available for the first 100 participants. During the powwow, there will be a drum contest, Native American arts and crafts and food, a powwow committee raffle and a Native American art show, held on the first floor on the River Park Square. All drummers are welcome at the powwow, and players will be paid per session. On Sunday, all eyes will be on the young participants during the sixth annual Spokane Kid’s Powwow. During the Spokane Kid’s Powwow, children can learn how to powwow dance. Regalia is encouraged but not required, and trophies will be awarded for more than 20 categories. There will also be a youth drum contest with prize money for the top three places. The first five registered drummers will receive day pay. Published: Aug. 23, 2018, 2 p.m.